Home › Food › What are antioxidants and are they good for us? From pomegranates to bio yogurt drinks, there are now a lot of food products which claim to have large amounts of ‘healthy’ antioxidants as part of their ingredients list. Antioxidants, as a word, has been given a wider audience and reputation over the last few years thanks to increased media coverage and adverts which hint that consuming food with this magical ingredient will keep you healthy. The trouble is, as with any claim, scientific proof is required – especially for the advertising regulators to approve adverts. So you would think, with so much coverage for antioxidants, that it’s a proven fact that they are extremely beneficial for us and our daily lives. Think again. You see, oxidation is a naturally occurring process which happens when things break down. Just look at an apple when it goes brown, when metals rust, and when items burn in air; these are all examples of oxidation. It’s something that happens in our bodies, too, but it’s a natural process which is essential for our body’s normal functions – without it, you wouldn’t be alive right now. So, to label something as an ‘antioxidant’ implies that it’s battling oxidation, which can cause confusion. The oxidants that antioxidants are so-called good at battling are the ‘free radicals’. Free radicals are effectively the bad guys in our bodies; they can become apparent if you have a diet lacking of essential vitamins, but do antioxidants really help in this battle? Well, this is where the confusion lies. While there have been studies to say antioxidants help to defend our cells when free radicals are taking aim, there has been no concrete evidence to support the theories. This is because the cells which were studied were looked at out of the body in laboratories, and some say this affects the way the cells behave, so the evidence would be deemed as inconclusive. Quite conflicting, isn’t it? So, should you take antioxidants? Well, yes. Anything rich in antioxidants will be a good boost for your vitamin intake, but be aware of the claims of vast improvements of health because of it. It’s unlikely to cause you any harm whatsoever, so just have as much as you see fit on a daily basis and get on with your life. If you live a healthy lifestyle with plenty of regular exercise, nutritious food, and basically keep active, you will be fine. It’s a case of balance; using your own common sense to pick sensible foods with healthy ingredients. 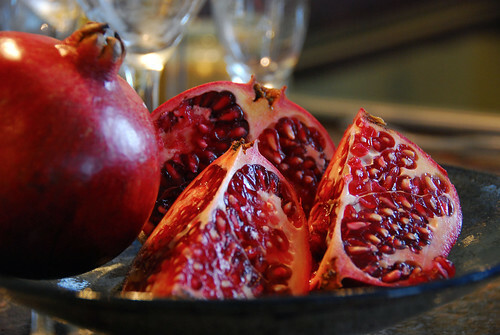 And while antioxidants may or may not be the wonder ingredient we thought, consuming something rich in antioxidants like pomegranate juice over a greasy takeaway will definitely improve your health – regardless of the claims. Like many things in life, if it seems too good to be true, maybe it is. Perhaps one day we’ll receive conclusive evidence to say that antioxidants are the incredible superpower we hope they are, but until that day, just continue to exercise, live a healthy lifestyle and combine the stuff in your daily routine. This post was written by Sarah, who works for Cancer Research, whose aim is to provide help and support for those suffering with cancer.